2/15 E-Newsletter: 70% of LA is Pro-Life; Pulse Weekend; Stay Woke; and More! 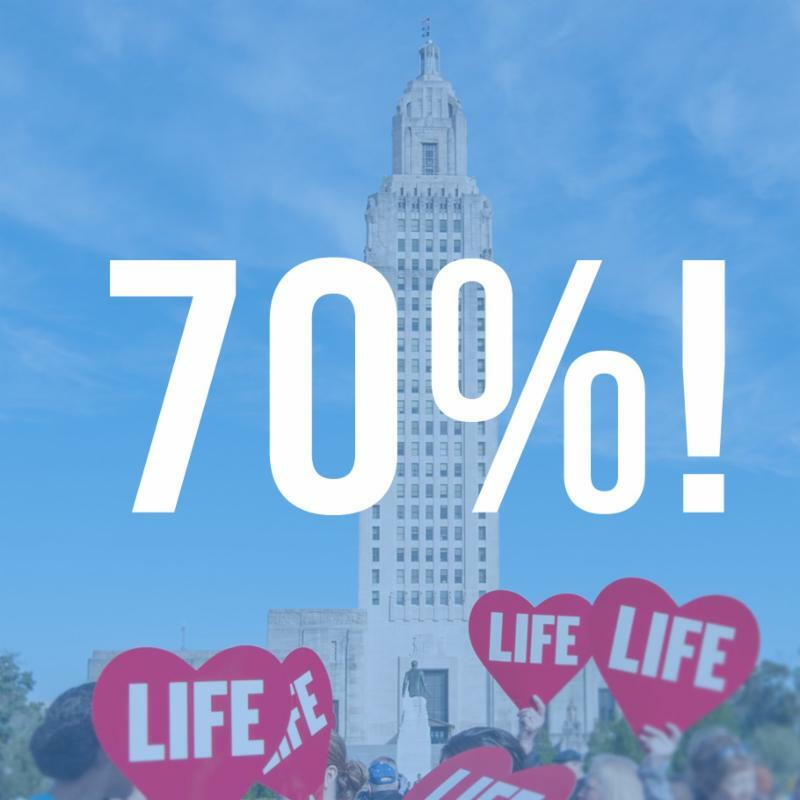 70% of Louisianians Support Life! Students: Register for Next Weekend's PULSE ! Fresh off our Life March events across the state where 20,000 people marched for life, we commissioned a poll to find out just how pro-life the people of Louisiana are. The result? 70% of people self-identified as pro-life! Kudos, Louisiana! Read more below. But a baby is still killed by abortion in Louisiana approximately 24 times a day. Our education and activism must continue to inspire that 70% to take a stand and reach out. Our state is pro-life, but we must become abortion-free! P.S. Our PULSE Immersion Weekend outside Baton Rouge for high school and college students is next weekend, Feb. 22-24. Space is still available - please register now!! Watch this one-minute video to learn more about PULSE! New Poll Confirms It: Louisiana is an Overwhelmingly Pro-Life State! A new poll conducted Feb. 10 and 11 by the Remington Research Group has found that 70% of Louisiana residents consider themselves to be pro-life, and they do not believe taxpayer funds should be used to provide abortion services. The poll of 1,180 likely voters in the 2019 General Election was done across demographic lines. On the issue of abortion, do you consider yourself to be pro-life or pro-choice? Do you think taxpayer funds should be used to provide abortion services? Last week on Feb. 7, the U.S. Supreme Court granted the Shreveport abortion facility’s emergency stay request, further delaying Louisiana’s attempt to enforce 2014 Act 620, which requires abortion physicians to have admitting privileges at a local hospital. Despite the setback, the state now has the chance to make a case to the court of why this common-sense law should go into effect. Tonight is the big event! 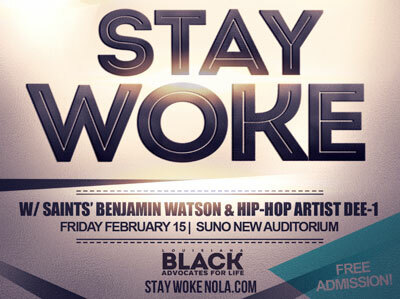 Join New Orleans Saint Benjamin Watson and national recording hip-hop artist Dee-1 at STAY WOKE Nola at 7 p.m. at the SUNO Auditorium in New Orleans. This inspiring evening is sponsored by Louisiana Black Advocates for Life. Families and church groups are urged to attend this free event! Can't make it? Watch on our Facebook Live! The first PULSE Weekend Immersion of 2019 is just one week away! 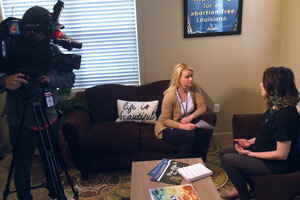 The Southeast Louisiana event is Feb. 22-24 at Camp Istrouma near Baton Rouge. Students, don't miss this opportunity to grow in pro-life knowledge and persuasion skills, discuss effective activism, hear testimonies, meet other pro-life teens and more! 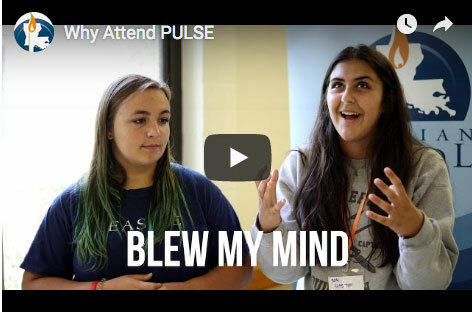 Click here to watch the PULSE promotional video and find out more about the event! Special elections will be held next Saturday, Feb. 23, to fill vacancies for Districts 12, 17 18, 26, 27, 47, and 62 in the Louisiana House of Representatives (runoffs are March 30). We are dedicated to informing voters on where the candidates stand on life issues, and we sent candidate questionnaires to each of the candidates. 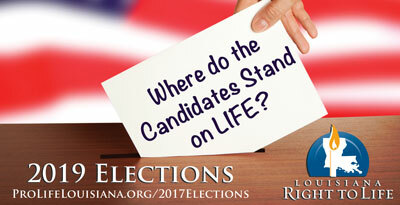 Where does your candidate stand on life? 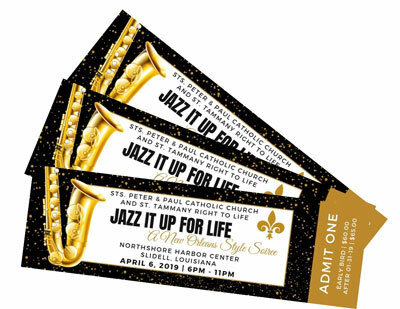 St. Tammany Right to Life is partnering with a local church to host Jazz It Up for Life, a New Orleans-style soiree for life, on April 6, in Slidell. The groups are also raffling off a $5,000 Walmart shopping spree. 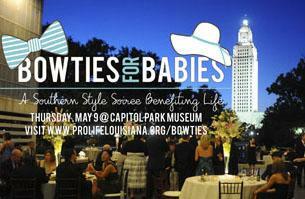 Buy your tickets to the event, or get a raffle ticket today to help promote life in St. Tammany Parish! You do not have to be present to win! LARTL has been in the news quite a bit lately. 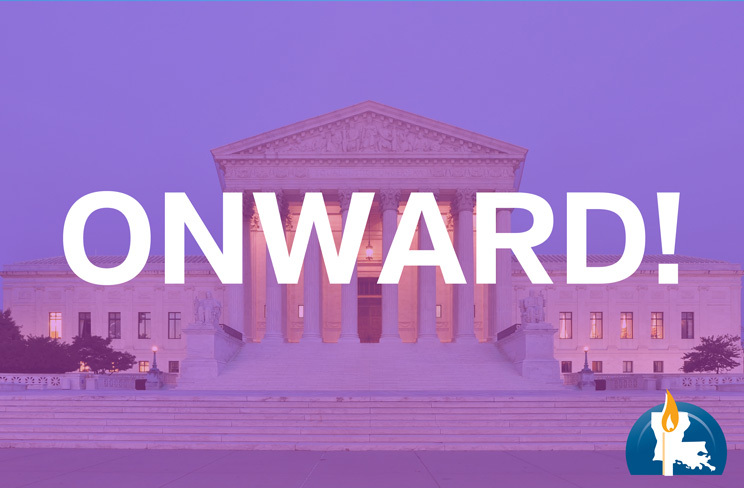 We hosted five Life March events around the state that drew a record 20,000 participants, hosted more than 1,300 high school students at the annual Geaux Forth youth rally in Washington, D.C., and watched as challenges to the Louisiana 2014 Act 620 reached the Supreme Court. 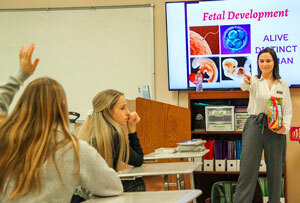 Do you need a pro-life speaker for your school, church or group? 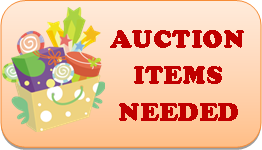 Contact us today and let us know what you have in mind. We will gladly speak to your group free of charge and help you educate the people of Louisiana on life issues. Whether its a day-long event or just an hour, we have presentations to fit every need.